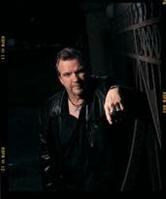 Meat Loaf, one of the singular, game-changing performers in the annals of American rock, released the long-awaited third installment in the most successful rock album series of all time, Bat Out of Hell III, on October 2006. The album went Platinum in the UK on release and has currently sold nearly 2 Millions copies worldwide. It has already spawned the hit single “It’s All Coming Back To Me Now”, a duet with Marion Raven that reached number 6 in the UK charts. The new single ‘Cry Over Me’, is released on May 7th , and looks set to storm the charts ahead of the upcoming sold out UK tour. Meat Loaf will be performing the single live on the new BBC1 prime time Andrew Lloyd Webber show ‘Any Dream Will Do’on May 5th. The Three Bats Tour will be the first live shows in the UK since the illustrious Royal Albert Hall date in October last year, which saw Meat Loaf perform to an audience of rabid fans. Tickets for this event sold out in 2 hours. A DVD, directed by Hamish Hamilton, of the Bat Out Of Hell trilogy, recorded live from London, Ontario will be released in October. Upcoming tour dates are as follows. All May dates have already sold out, but additional dates this October go on sale this Friday, May 4th. Tickets available through Ticketline.co.uk. The second installment, Bat Out of Hell II: Back Into Hell, released in 1993, included the classic international chart-topper “I’d Do Anything for Love (But I Won’t Do That),” and earned Meat Loaf a Grammy for Best Rock Vocal Solo Performance. Bat Out of Hell II: Back Into Hell and “I’d Do Anything for Love (But I Won’t Do That)” were the # 1 UK album and single of 1993. The album went on to sell over 2 million copies in the UK alone, and over 15 million worldwide. “Cry Over Me” will be available as a 2 track CD / Special Edition Picture Disc 7” and DVD featuring the video and full length animated video for ‘The Monster Is Loose’ out on May 7th. For more information about Meat Loaf, visit Meatloaf.net.